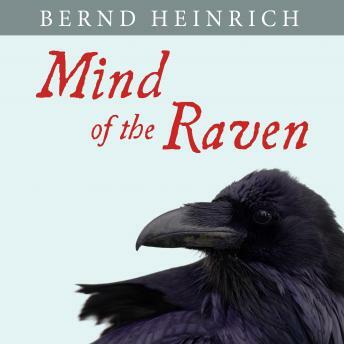 Bernd Heinrich involves us in his quest to get inside the mind of the raven. But as animals can only be spied on by getting quite close, Heinrich adopts ravens, thereby becoming a 'raven father,' as well as observing them in their natural habitat. He studies their daily routines, and in the process, paints a vivid picture of the ravens' world. At the heart of this book are Heinrich's love and respect for these complex and engaging creatures, and through his keen observation and analysis, we become their intimates too. Heinrich's passion for ravens has led him around the world in his research. Mind of the Raven follows an exotic journey-from New England to Germany, and from Montana to Baffin Island in the high Arctic-offering dazzling accounts of how science works in the field, filtered through the eyes of a passionate observer of nature. Each new discovery and insight into raven behavior is thrilling, at once lyrical and scientific.